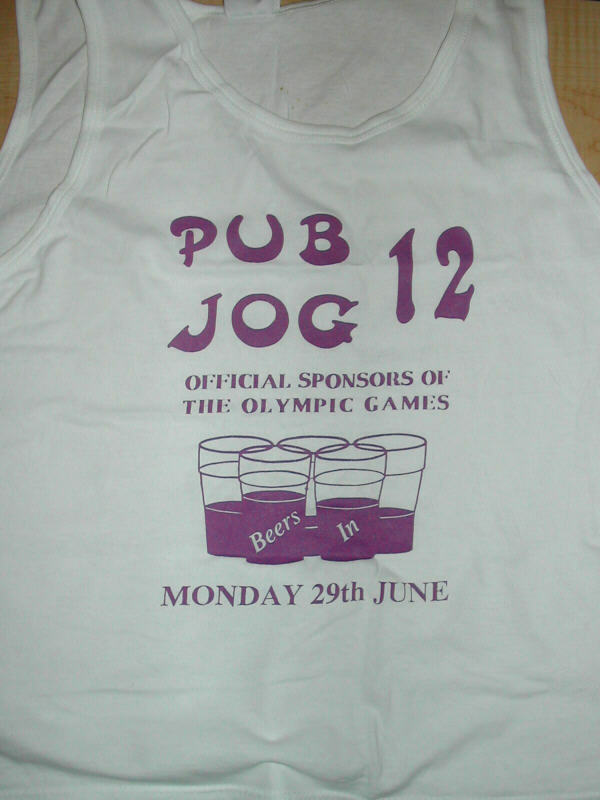 Pub Jog 12.. has so far been the only jog to feature the option of a Pub Jog Vest instead of a t-shirt! 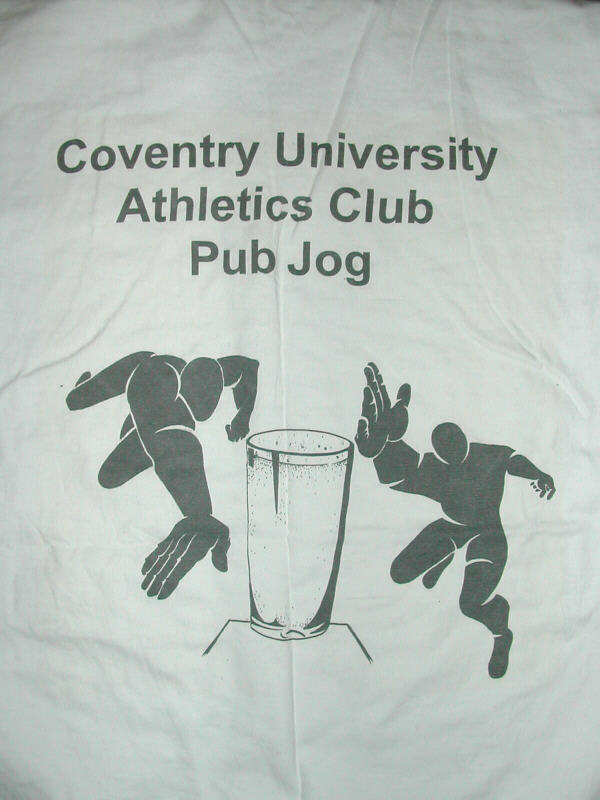 Copy cats number 1.. our neighbours at Coventry Poly.. ooops.. sorry.. habit.. Coventry University had an attempt at their own version of the Pub Jog, and even went as far as producing a t-shirt for the inaugural event. 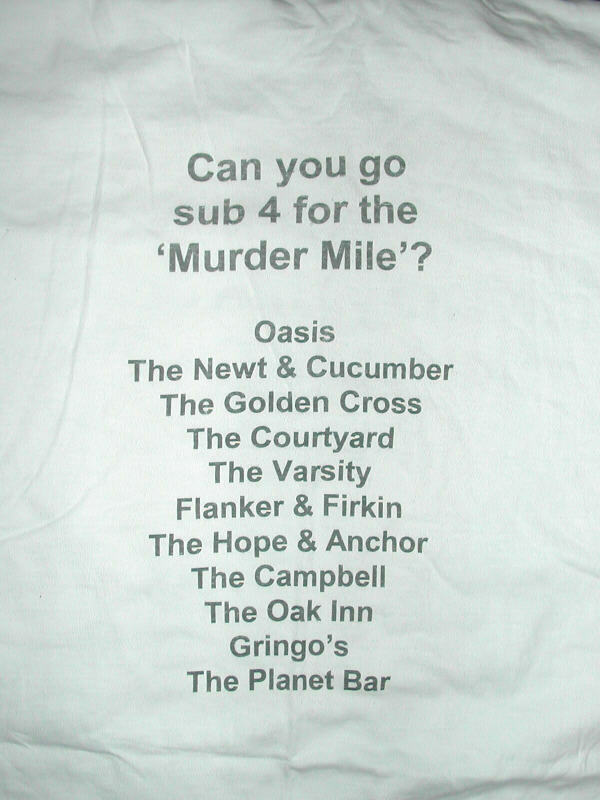 Unfortunately I think the idea of doing this in Cov city centre is just asking for trouble! 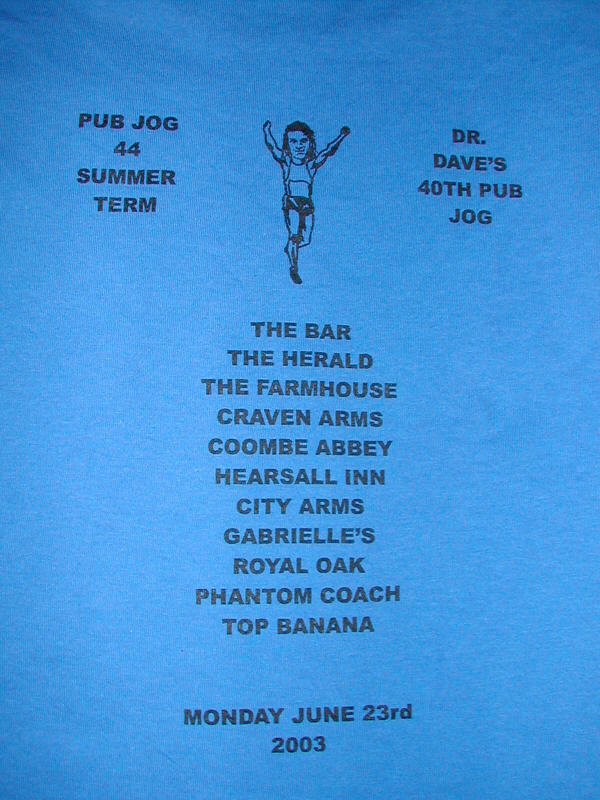 Copy cats number 2.. the fame of the Pub Jog even made it abroad when a foreign student who was with us for a year (sorry mate.. can't remember your name!) 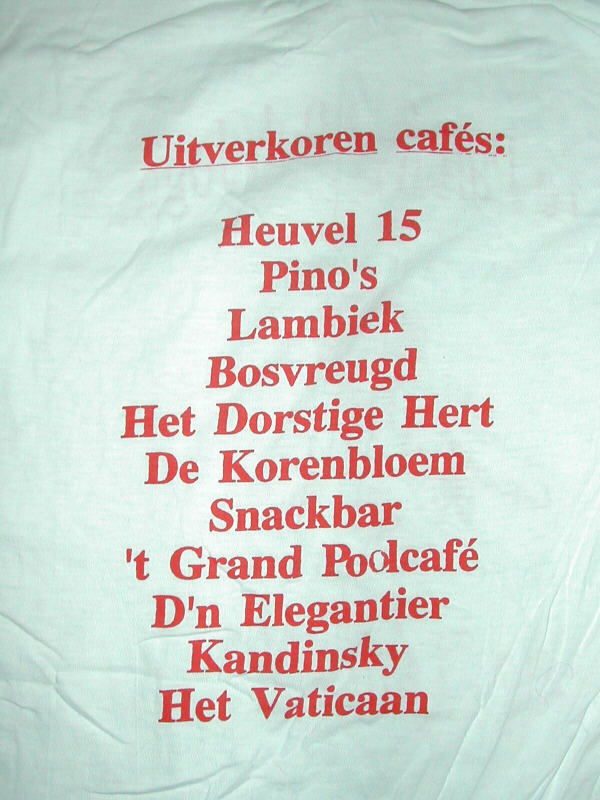 took the idea back home to the Netherlands. 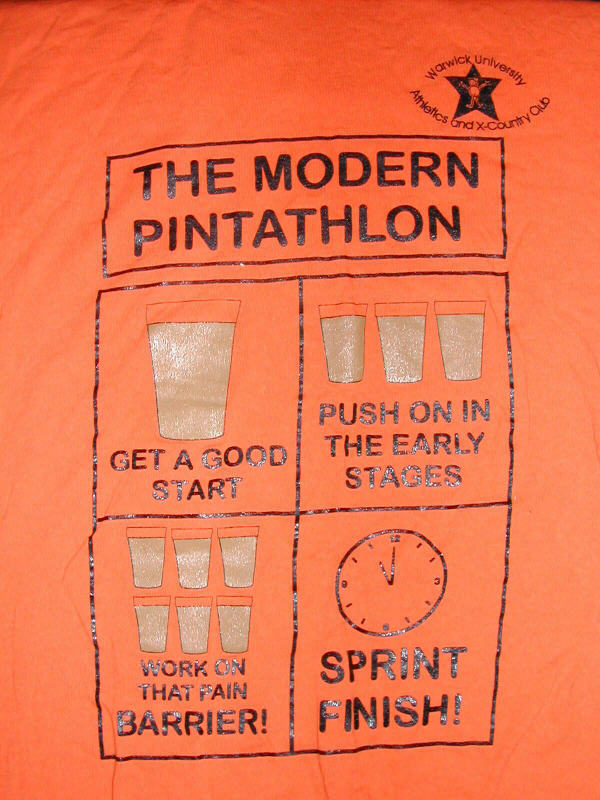 Unfortunately his comrades were not as enthusiastic as him and started on the orange juice as soon as they started getting tipsy. 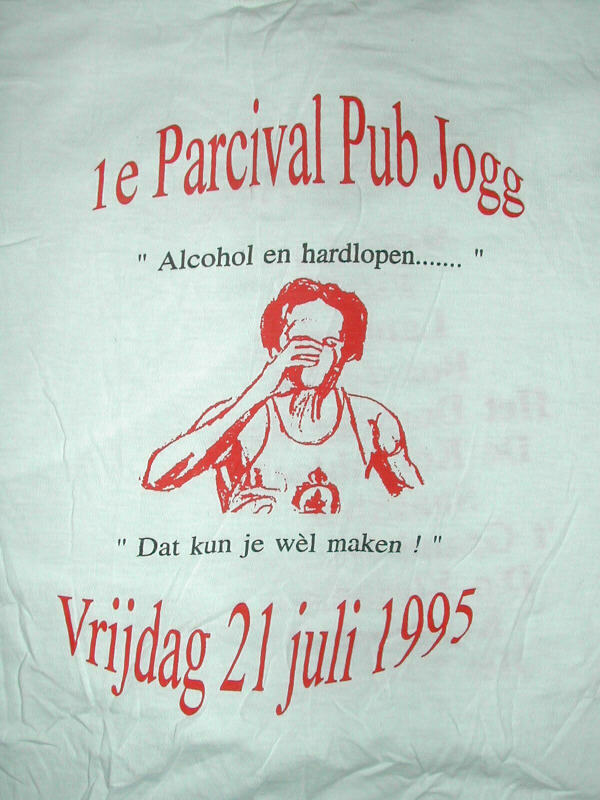 But at least they had a t-shirt! 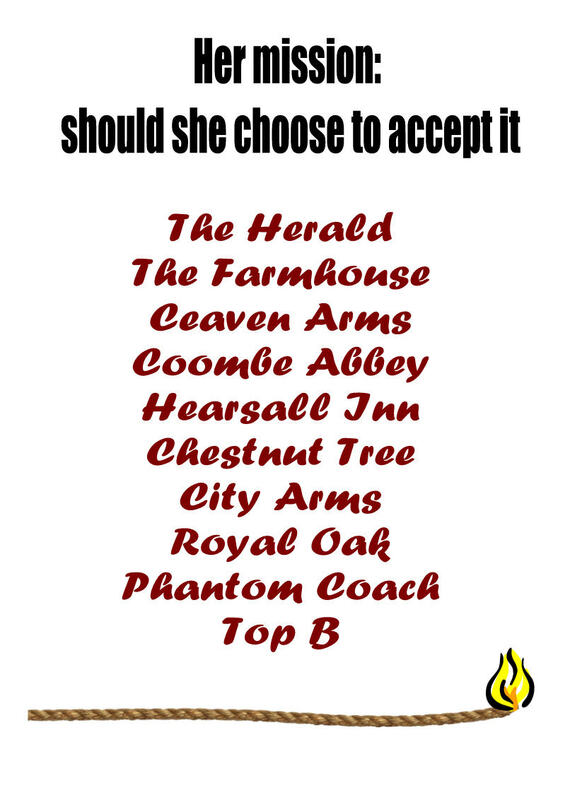 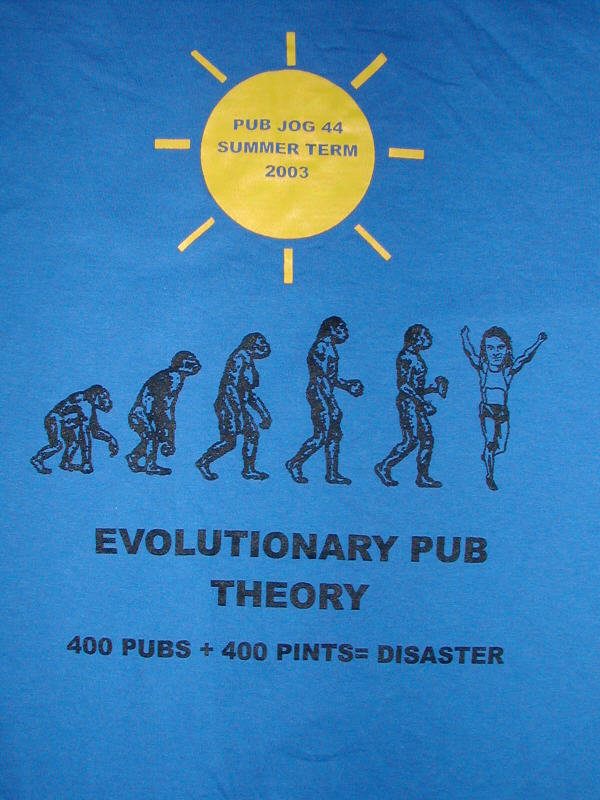 Special occasions... in honour of Dave Wood's 30th Pub Jog there was a very limited edition (i.e. 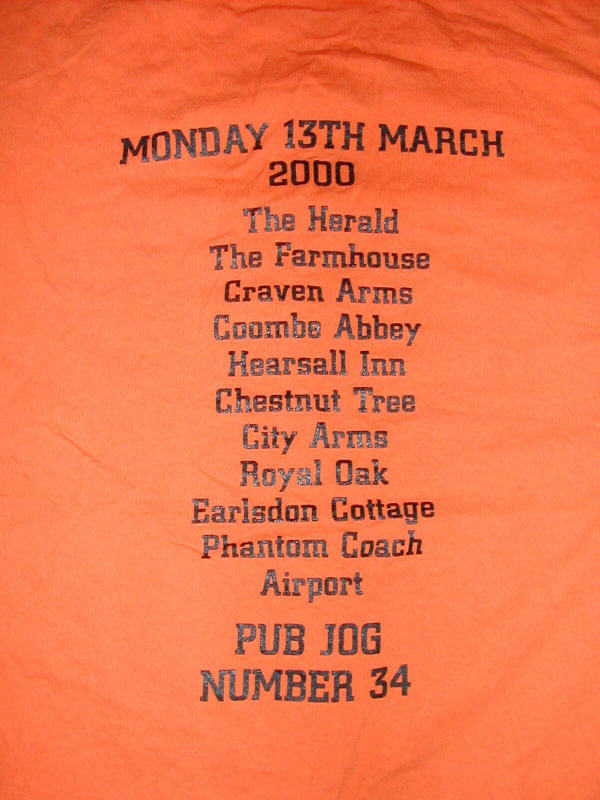 one) orange version of that Pub Jog's t-shirt.